Compact and lightweight, the Sport PRO is simple, intuitive and so easy to use in 1 hand, you don’t even have to look at it. It allows you to train up to 3 dogs (additional dog devices required, sold separately). Quick turn dial gives positive clicks when changing between 10 stimulation levels and when controlling auxiliary functions. Includes a built-in BarkLimiter with settable levels to keep things quieter. Four buttons control continuous and momentary stimulation, vibration, tone and lights. Dog devices and collars feature interchangeable, replaceable long and short contact points. 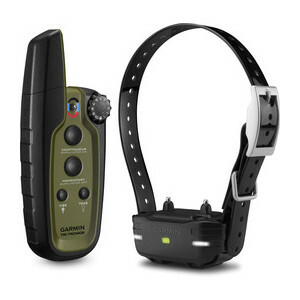 The Sport PRO is easy to operate with 1 hand, so you can keep your eyes on your dog at all times, even while switching between stimulation levels and dogs. The quick turn dial at the top of the handheld provides positive clicks when changing between 10 stimulation levels, tones and other auxiliary functions, allowing intuitive operation. The multi-dog toggle switch and color-coded buttons comfortably line up in your hand for fingertip control. A fixed transmitter antenna eliminates the threat of a lost or broken antenna while delivering up to 3/4-mile range. Choose from 10 levels of continuous and momentary stimulation or a tone and vibration setting for up to 3 dogs (additional dog devices required; sold separately). You can remotely operate the LED beacon lights, built in to the dog device, to help locate your dog in low-light conditions. Sport PRO features a built-in BarkLimiter with settable levels. You set the level and increase it as needed, adjusting the correction to the optimum level needed to stop each dog’s unwanted barking. 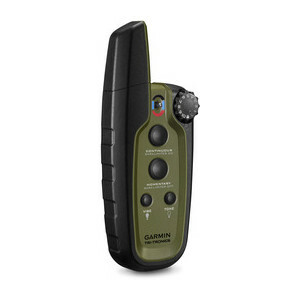 Both the handheld transmitter and the dog device collars are designed to withstand all the blows, bumps and sloppy conditions of training and hunting. The dog device comes with 2 lengths of removable, stainless, insulated contact points for reliable performance in wet conditions and extended comfort for the dog. The Sport PRO handheld is water-rated to IPX7 and even floats; the dog device is water-rated to 1 ATM (10 meters). The transmitter and dog device both feature a long-lasting, rechargeable, user-replaceable lithium-ion battery. A battery life indicator on the transmitter and dog device lets you know when to recharge the system.